Sure enough, there are gorgeous women all over this lovely planet of ours, and they all have that special something that makes them unique and distinctive. 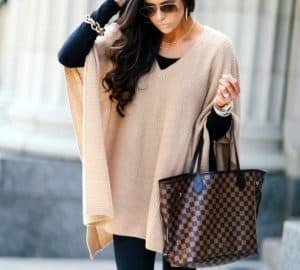 When it comes to Aussie girls, they’ve been blessed with a wonderful climate for a good part of the year, which enables them to rock that laid-back effortless look, both in regards to fashion and beauty. You might think that it’s easy for them to look flawless and sun-kissed given the fact that they’ve been blessed to live in such a wonderful and sunny country, but that nonchalant beauty can be yours. Today, our goal is to give you the skinny on their fashion and beauty secrets so that you too can look as ‘slightly-underdone-stunning’ as they do. 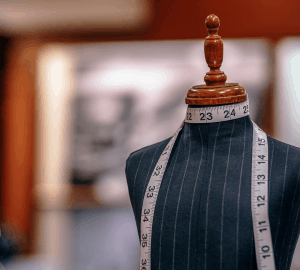 The first thing to bear in mind is that clothes and fashion are here for you to play with. Never be a slave to trends but embrace the ones you truly like and make them your own. An Aussie girl, even when she’s ‘dolled up’ doesn’t look like she’s trying too hard or that she’s overdressed. Don’t be afraid to put comfort first, because fashion doesn’t need to and shouldn’t be uncomfortable. These women look so laid-back precisely because they know which garments make them feel good, and that shines through. You might have this preconceived notion that Australians take forever to get ready when it comes to going to the beach, and that aside from perfect swimwear they spend hours accessorizing. Well, we’re here to shatter that myth into a million pieces. Aussie girls are completely unfazed by accessories. What’s more, they actually prefer singular statement pieces and clean simplified lines. Yes, the bohemian style has been characteristic for the gals Down Under, but in the recent years, they have been turning to simplicity and sophistication as their guiding stars. Less is more, and that’s another secret of a laid-back style. As said previously, a true Aussie girl isn’t afraid to play with clothes. Given that the tides have turned and now designers are catering to the needs and demands of people instead the other way around, just looking at the collections of some of the most promising Australian designers will make you realize that these gals have mastered the art of mixing different prints and incorporating diametrically opposing styles into one single outfit, and they make it work. Avant-garde tops with simple jeans, geometric cuts with simple striped shorts, oversized pink with red bags and zebra shoes – you name it, they’ve pulled it off. The lesson: never be reluctant to match the unmatchable – with the right ‘who cares’ attitude, you can pull off any combo that pops into your head. Yes, yes, fashion tips are valuable, but we know that the truly priceless secrets you’re after are the beauty and skincare ones. You just look at Margot Robbie and you’re filled with a mixture of admiration and envy. Well, buckle up, because these secrets are about to be revealed. Good times and breathtaking Australian beaches are something you simply can’t put a price on. However, these girls of summer know that sun protection is not a matter you want to take lightly. Aside from always turning to trusty sunblock and moisturizers with a serious SPF, these gals don’t shy away from seeking additional help to keep that skin radiant, plump and healthy. 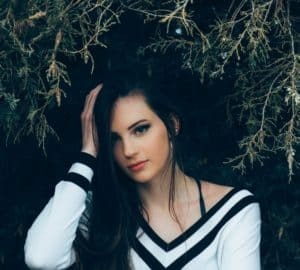 The ‘better safe than sorry’ motto is what they’re guided by and touch-ups in the form of microdermabrasion at a professional skin care clinic are the equivalent of their fountain of youth. Even the goddesses of summer need a helping hand to remain as healthy and youthful-looking and they’ve definitely discovered their Holy Grail. Now, the list of much beloved and cherished skincare products Aussie girls swear by will come as a bit of a shock – but just remember their flawless complexion and you won’t doubt them. First in line is emu oil, yes, your eyes aren’t deceiving you. The scent is a bit sharp and overwhelming, but given that it has the power to shrink an angry zit, help nix bikini-line bumps and reduce inflammation and even ward off minor infections – it’s totally worth putting up with. Mineral foundations that contain kaolin clay are also one of the favorites, because nothing saves you better from a shiny T-zone than the mighty clay. 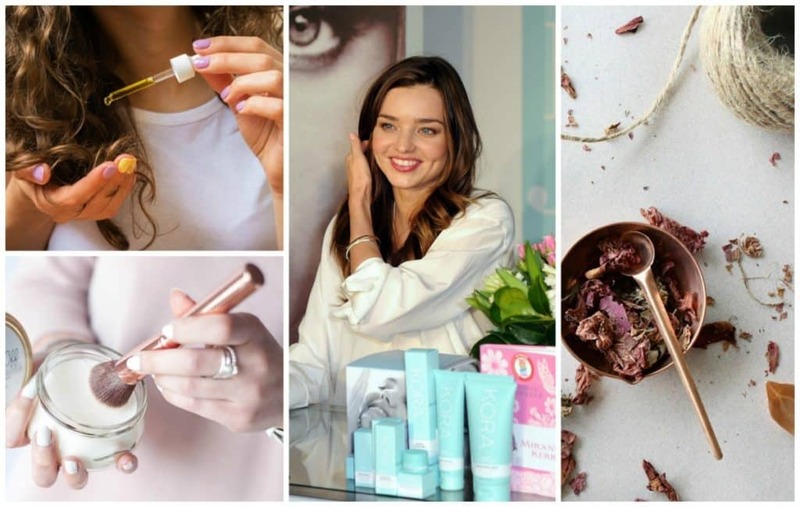 Now, there is one product developed by Australia’s very own Miranda Kerr and her team and Kora Cosmetics and it’s the Luxurious Rosehip Oil. The reason this product is receiving so much love lies in its ability to reduce wrinkles, and give the skin that glowing dewy look – AKA the Australian signature look. Finally, the biggest secret of them all is plenty of time in the water; even if you’re not graced with an ocean nearby, there’s always the pool. Hydration is crucial, so fill up that bottle and don’t stop before you see the bottom of at least 8 glasses. Happy Two Year Anniversary to The Style Bouquet! I will say that I have found myself wearing less and less accessories every year. A simplistic look works best for me. Thanks for the Aussie girl style tips. Wow. Great looks. Really like them. This was such a fun post! I never really had an idea of what Australian style might be but now I am so inspired.